The day long concert featured a line-up including Nathan Carter, Jimmy Buckley, Philomena Begley, and Big Tom among others. 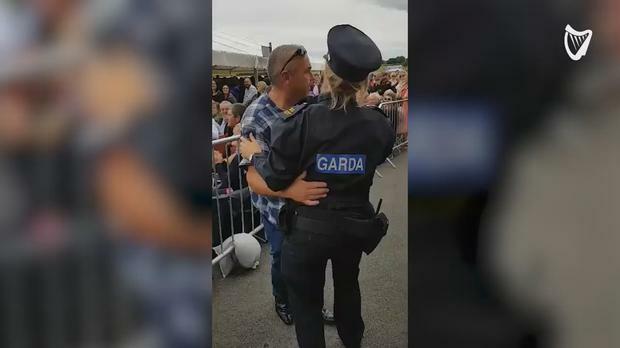 And it was while Sweet Caroline was blasting out from the stage that a female Garda indulged in a spot of slow jiving with a check-shirted punter. Sure what else would she be doing? Video courtesy of Sean Rowlette.